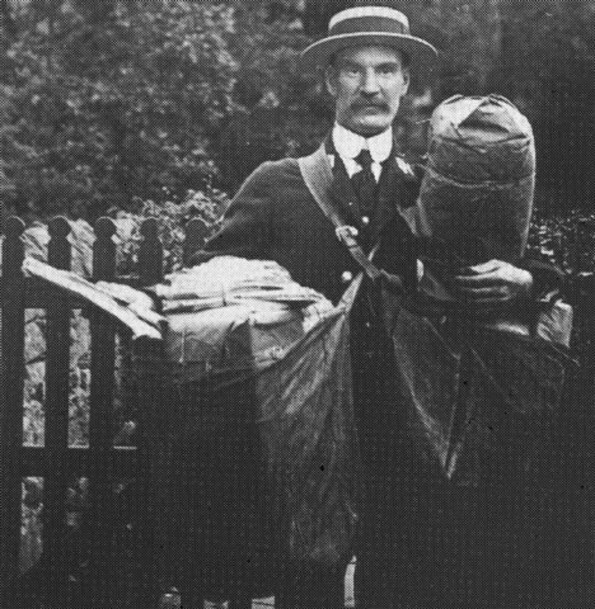 POSTMAN George Thorn was due to be away from home for a fortnight in 1914 when he did his annual stint as a naval reservist. But when war was declared in August he was on board the battleship HMS Caesar – so right away he became a full time gunner in the Royal Marines Light Infantry instead of going back to his round in Cotherstone. He was one of 672 troops on the vessel as it went into battle action. It must have come as a severe blow to his wife Isabel as they were married only the previous year. She was 20 and he 33 when they tied the knot at South Shields. She was from the Clasper family of Pittington. The Caesar’s first task was to help defend the port of Ostend. 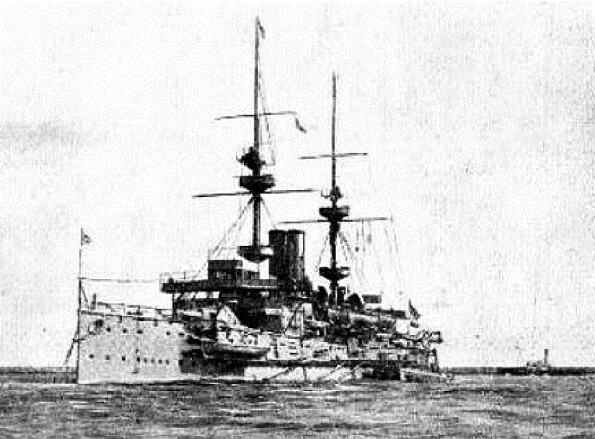 Later it guarded Gibraltar and then went on patrol in the Atlantic and West Indies. George – full name George William Arland Thorn – got home on leave at times, so their first son Henry was born in 1916, followed by George in 1918. Henry became a GPO telephone engineer and George a policeman. Their father sent letters of thanks to Cotherstone war relief committee thanking members for gloves, scarves and other warm items they sent him, as they helped him deal with intense cold. 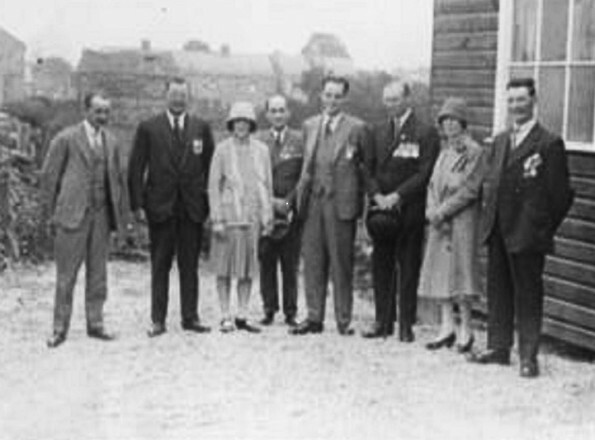 Other troops were equally gratefully for such gifts, sent out by a team led by Ernest Lingford. When demobbed George became a genial postie once more, known for his cheery manner and wide grin as he trudged around the dale. His family grew as other children arrived: Joyce in 1920, May (who died in infancy) in 1921, Ernest in 1922, Arthur in 1925 and Frank in 1927. George was devoted to them, but tragically he did not live to see them all grow up. Isabel was expecting their eighth child when he died in February 1930 at the age of 50. He rang the bells one Sunday at morning and evening services at Cotherstone Parish Church – a pastime he had enjoyed for years – before going home, feeling unwell, and passing away in his sleep due to a heart problem. There was a huge turnout for his funeral – friends, postal colleagues, ex-service mates, British Legion officials and many of his customers. Isabel was too unwell to attend but was represented by the two oldest boys, then aged 14 and 12. The final baby born that August was Ruth, who eventually married another popular postman, Bob Bell. The couple lived at Stainton Grove but Bob died some time ago. Ruth, the only survivor of the original family, is now well looked after in a nursing home. Arthur will be remembered by many as he ran a busy farm and garden centre in Barnard Castle. His son Geoffrey lives in Evenwood. His other son Alan lives in Cotherstone with his wife Ann, who has been compiling a family tree and kindly supplied much of this information. Ernest became a farm manager and Frank lived in Cotherstone.